DRIED FLOWER PETAL BEADS WILL BE MADE FROM YOUR FLOWERS. These earrings include a single flower petal bead combined with your choice of a single semi-precious (black onyx in this photo) bead. 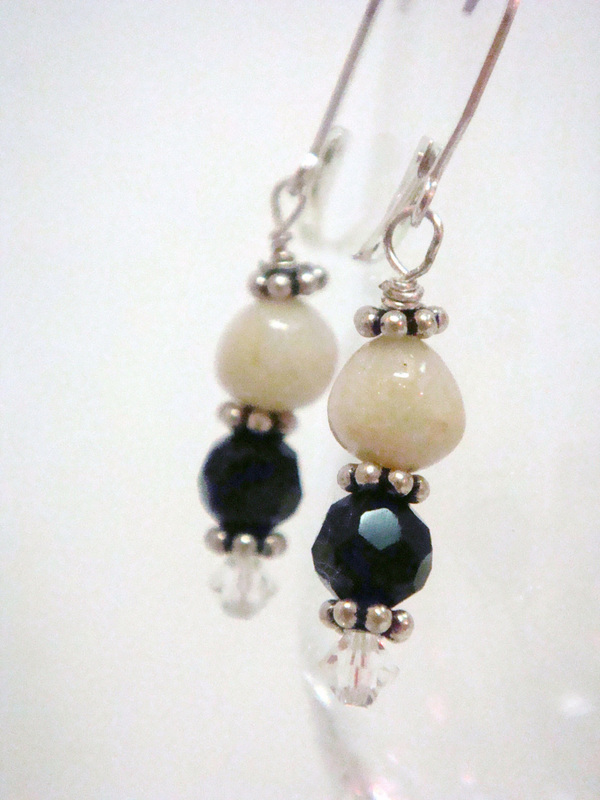 Earrings also include sterling silver daisy spacers and findings, and Swarovski crystals.. DRIED FLOWER PETAL BEADS WILL BE MADE FROM YOUR FLOWERS. 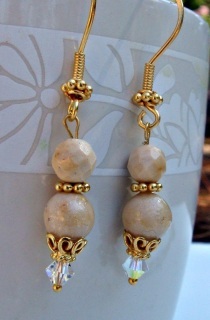 Flower petal beads are the focal point of this pair of vermeil earrings. Vermeil is sterling silver with a thin gold coating. 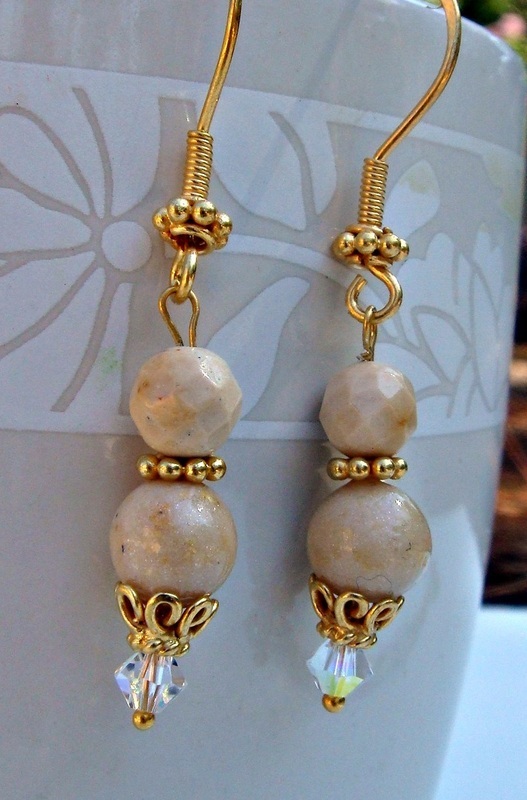 Earrings include one semi-precious bead of your choice, vermeil Bali beads and bead caps, Swarovski crystals, and vermeil findings.